Fans of the original Transformers '80s cartoon will rejoice. Transformers: The Last Knight hit cinemas last week with all the subtlety of a sledgehammer. Unsurprisingly, it was universally panned by critics for its nonsensical plot, over-reliance on special effects, and cringe-worthy comedy. All par for the course in a Michael Bay film, then. It seems, however, that audiences are finally getting fatigued by the franchise – at least in the US. The Last Knight had the weakest domestic opening since the first film in 2007, grossing $68 million in its opening five days. That doesn’t bode well for plans to make a Transformers cinematic universe with as many as 14 movies potentially planned for the future. However, we know that the next film in the Transformers franchise will be a spin-off prequel starring Bumblebee. 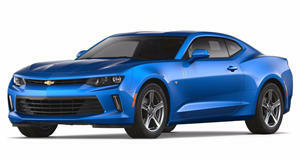 If you’ve only been brought up on Bay’s live action Transformers series, you of course think of Bumblebee as a fifth-generation Chevrolet Camaro. Die-hard fans of the original Transformers ‘80s cartoon will be quick to correct you, however. In the original series, Bumblebee transformed into Volkswagen Beetle. Apparently, Bay casted a Camaro to play the role of Bumblebee because the VW Bug reminded him of Herbie. That and a substantial pay check from Chevrolet probably helped, as Transformers was instrumental in promoting the fifth-gen Camaro. Speaking to Entertainment Weekly, Transformers producer Lorenzo di Bonaventura hinted that Bumblebee will go back to being a vintage Volkswagen Beetle in the next movie. “You might even see a VW Bug,” he said. “You never know.” The reason? The Bumblebee Transformers spin-off will be set in the 1980s to bring the franchise back to its roots. For the first time since the live action Transformers series started in 2007, Michael Bay won’t be directing which may come as a relief to some. Instead, Travis Knight, whose directing credits include Kubo and the Two Strings, will be directing the Bumblebee spin-off. “It’s the story of a 17-, 18-year-old girl who, through a series of events, she and Bumblebee find each other, and they make each other whole,” he explained. “Bumblebee’s a very loving character. He’s got a lot of heart, so of course the idyllic life of these two is interrupted by the evil Decepticons. And how are they going to be able to deal with the problem without Optimus and without everybody else?” Filming will begin this August. Currently, the Bumblebee spin off is slated for release next summer.